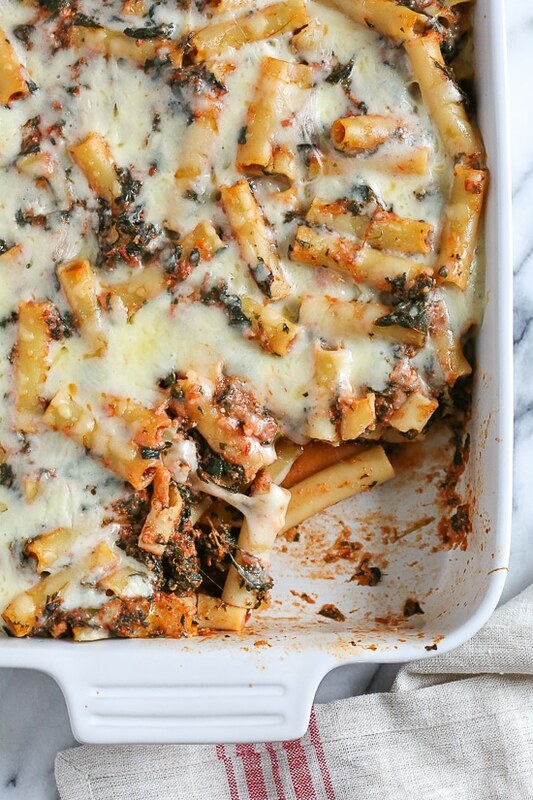 Baked ziti is a favorite comfort dish in my home! Adding spinach is a quick and easy way to get more leafy greens into your family’s diet without complaints. 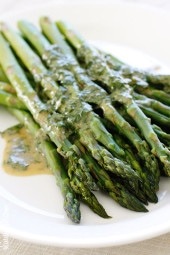 A great dish for Meatless Mondays, or any day of the week. We eat it with a garden salad, the portions and generous and satisfying. I’m reviving this from the archives to update the photos. This makes enough for eight, so if you have a small family, you’ll probably have leftovers for lunch or freeze the rest for convenient freezer meals. This can be assembled a day ahead and kept refrigerated, let it sit at room temperature 30 minutes before baking. In a large pot of salted water, cook pasta according to instructions until al dente (I like to under-cook it 3 or 4 minutes as it will cook more in the oven). Drain and return to pot. Meanwhile, in a medium saucepan, add olive oil and sauté garlic. Add chopped spinach, salt, pepper and crushed tomatoes. Season with basil, oregano, salt and pepper and cook 5 minutes. Add sauce to the pasta and combine. Add half of the mozzarella, Parmesan cheese and ricotta. Mix well then transfer to the baking pan. Pour the pasta mixture into the prepared pan and spread evenly. Top with the remaining mozzarella and cover with foil. Bake for 30 minutes, or until mozzarella is melted and the edges are lightly browned. Let it cool 5 minutes before serving. Just made this tonight! I’m 8 was pregnant and have had horrible food aversions until today when I wanted something comforting, healthy, and a little cheesy. Ended up using an 8 oz package of me til penne and 16 oz of chopped spinach. I think the ratio worked out well as the final product came together and remained very flavorful and moist. Fiancée had two bowls 🙂 this will definitely be in my rotation! I thought it was good but a bit dry. Maybe cut down on the ricotta and add more tomatoes? Maybe some water? Can this be made in the slow cooker? I tried looking through the comments but didn’t see anything slow cooker related. I have made this before and LOVE it! I do add more seasonings though. Amazing way to get some greens in without the family even knowing it. I used fat free mozzarella to save a bit on fat. Definitely a new staple in my kitchen. Can you use Italien seasoning if there is no fresh basil on hand? thank you. Perfect just as is on recipe!! !Makes a lot but it is just as good the second day.Thanks! Thanks for this recipe, and for this website! Is this a meal that I could make and freeze? Hi, I’m out of ricotta! Do you think I could sub in a little Greek cream cheese? Or more mozzarella? Thanks!! Can you add mushrooms to this recipe? This was too bland for me. I even used fire roasted crushed tomatoes but still didn’t get a lot of flavor. Could this be frozen before being baked rather than reheating it? Very good recipe . Very light .. not heavy at all . Can enjoy the pasta without feeling guilty! Can I just say how much I love this website? 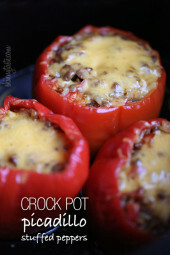 I love this recipe I have made it tonight I am adding some Turkey sausage. Thank you Gina for the amazing recipes they are life changing!! 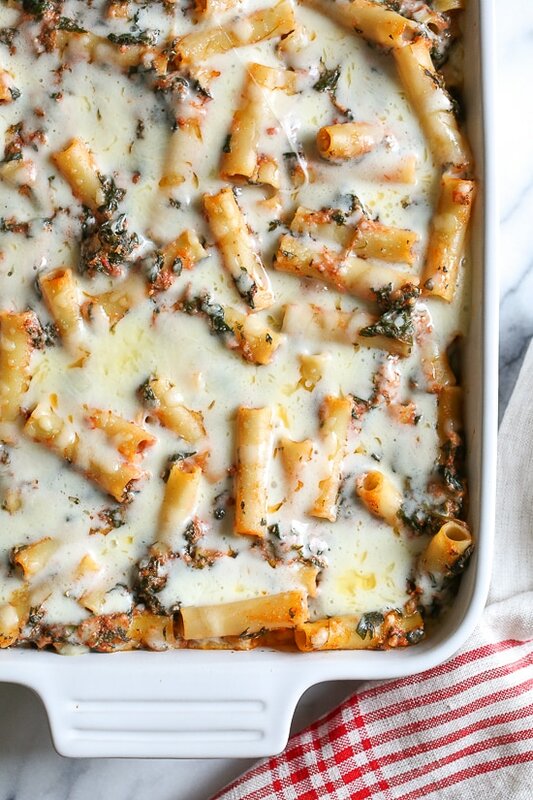 Loved this recipe but just needed to point out… you say to add half the ricotta and Parmesan, but then only mention the mozzarella at the end… nothing about the rest of the cheese. I topped with the remainder of all three and it was delish! Amy, I read this as add 1/2 of the mozzarella, all of the ricotta and parmesan, then, at the end top with the remaining 1/2 mozzarella. Made this tonight! Very easy and delicious. If I could make one suggestion on how you word this recipe, I would put “half the mozzarella” at the end of the list of ingredients in step 4. I may be a simple creature but I carefully measured out half of each cheese, not just the mozzeralla, before I figured it out. Thanks for sharing all of your healthy cooking! I made this last night and it was a big hit! My husband loved it and took leftovers for lunch – he NEVER eats leftovers!! I did add some shredded parm to the top and I could have used more tomatoes and ricotta, but other than that it was perfect! Thanks for the recipe! My mom made this last night and it was great! I added a dash of hotsauce and just a sprinkle of salt – so good. Sometimes you just need pasta and cheese, ya know? It says 2 cups of mozzarella, but then 8 ounces? Should it be 16 ounces? Thanks! Looks delicious! This has become one of my go-to meals. It freezes well, but takes FOR. EV. ER. to heat in the oven (even after being thawed). Still worth it. My son, who is 8, LOVES it and asks for it weekly. Love when it is kid approved! I’m participating in a freezer meal swap and I’m planning to make this. Once it’s thawed , you say it takes a long time to heat up. About how long are you talking? And what temperature? Also, I’m planning to put it in two 8×8 pans instead of a 9×13. Do you think that would have an affect on temp. or heating time? Thanks! Pingback: Freezer Meals for Maternity Leave (or any busy time in your life!) - Jump, Jive and Kale! Is there serving size for dried pasta or cooked? Looks great! Hadn’t made this in a long time…but when I do it’s my GO TO recipe and it’s amazing. So delish and loads of leftovers (only two of us). I loved this recipe so good. One question I entered the ingredients into recipe builder myself because I could only find low fat ricotta and not fat free and it came out to about 6 points. Any idea why? Made this last night and it was great! I made a few tweaks, did not have whole wheat but veggie penne and added sauteed onion and ground beef. Love the addition of the Ricotta. Thanks for all your inspiration and great recipes. Luckily I had saved points so it wasn’t an issue for me. This was very good and easy to make. I really like that it can be made ahead and stored in the fridge for later. Thanks for a great recipe! My family did not like this recipe at all. It was very bland and the can of crushed tomatoes weren’t a good choice. I followed the directions exactly and my dish looked just as pictured, but something was really missing. Dull as dishwater. Will not be making this again. Agree, dish was very bland. Not one i will make again. It’s totally fine to not like something but maybe ask questions or make suggestions instead of stomping on it. We love this! Just add a little more salt, garlic and fresh herbs. omg Gina you have done it again this is an amazing recipes you are beyond talented!!! Any recommendation for Wheat noodles that actually taste good? I love Delallo – tried the 365 Whole Foods brand as well, not my favorite. The lentil or bean pasta I have found to be very good and hold up well in a casserole/baked dish. They sell them in most supermarkets now in the healthy/organic section. I would like to take this to a new mom. Can i let it cool then freeze it? What are the cooking instructions when frozen? That should be OK. Maybe portion it out before you freeze? I would reheat at 350 for maybe 30-45 minutes (if from frozen? I would keep an eye on it. I love this blog and the majority of the recipes here – This was just awful and the only thing I can blame (I’m an Italian cook by nature) is the wheat noodles, I got Barilla, and they we’re just awful. Next time I will use reduced-fat Ricotta and probably just save the calories for non-wheat noodles. We all wanted it to be really good, and we all chugged through it like champs. Just made this last night!! It was delish. We needed a smidge more salt but otherwise it was yummy and satisfying!! I made this tonight, turned out great! My supermarket let me down, though, and only had reduced-fat ricotta. I think it changed points to 10/svg but still worth it! 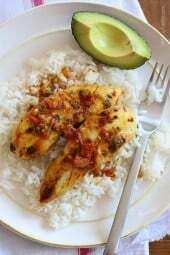 Can I use fresh spinach just mixing it into the dish without prescription cooking?? Stupid auto correct * precooking? I would cook the fresh spinach, otherwise it will add too much water to the finished dish. Cooking the spinach only takes a few minutes in a pan on the stove top. I made this last night for dinner and it is very good. Has a nice flavor from the garlic and basil! I made this a couple weeks ago and we loved it . The spinach was still mostly frozen when I added it but I’m making it again with thawed spinach. Do you drain it and squeeze it dry first or all liquid and all? This looks amazing. Does anyone know what the 21 day fix portions are for this recipe? My kids LOVED this meal. My boys had thirds and my toddler had fourths! Thanks Gina. I made this for my in-laws and it was a huge hit! So good. Thank you for the recipe! So good! I hate thawing frozen spinach so I just cooked a bunch down and followed everything else to the letter. 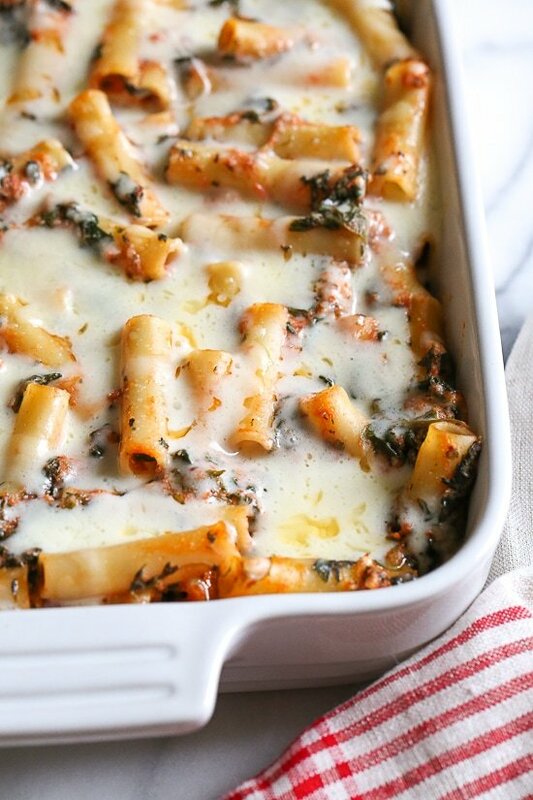 Really delicious and hits that comfort food craving. I am going to make this ALL WINTER. Thank you! Can’t wait for leftovers for lunch tomorrow. MMMMMmmmm.